it enhances the quality and motility of sperm. mares in foal and they will stay in foal. Proven to be especially beneficial for older mares. and clears up throat infections, and their coats look fantastic. 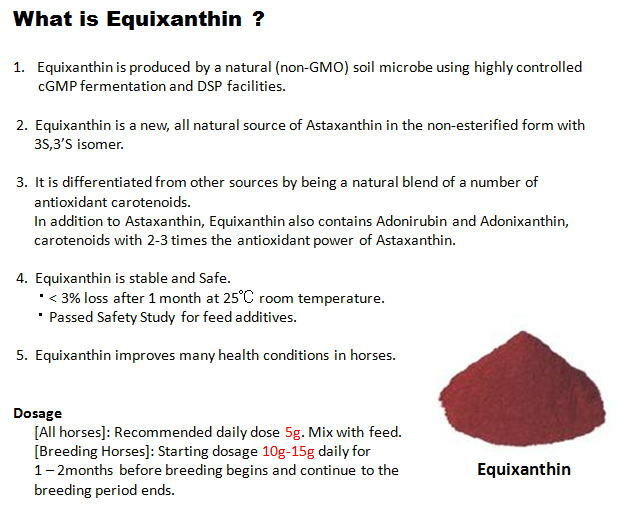 Racehorses - Equixanthin stops fillies and mares from tying-up.